Most Acne Creams use Benzoyl Peroxide Bleach. This is why hair will bleach to an orange colour when in contact with most Acne creams. Bleaches are an inexpensive way to kill bacteria and are often effective. However Acne is usually around for a short time and we need to take care of the skin on our face for later. That is why we prefer to use healthy ingredients. Acne has a number of causes, including sebum (skin's oil) becoming rancid as well as bacteria on the skin. That is why we set to work trying to find a solution that was good for the skin. 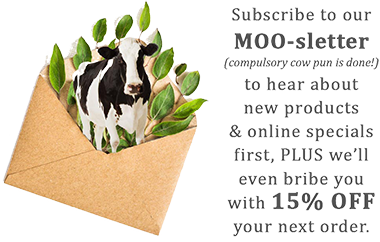 MooGoo's Blemish Cleansing Moisturiser takes a new approach. It is a cleansing cream that also works as a leave on moisturiser. This keeps skin healthy and young looking by using a high quality natural cream packed full of anti-oxidants, rather than chemicals. Other parts of the formulation help prevent excess oils on the skin becoming rancid which can be a cause of Acne as well as cleanse the skin. We suggest applying the Blemish Cleansing Moisturiser each morning and night after washing and while the skin is still slightly moist. The cream is not designed for instant results on existing acne as bleach can do, but to help prevent the need for bleaching products after a week. It may cost a few dollars more than a bleach based cream, but healthy skin is priceless. Our Blemish Cleansing Cream uses healthy ingredients to control bacteria and moisturise the skin without clogging. It also contains anti-oxidants to help prevent oils oxidising on the skin. Use as a daily moisturiser for clearer skin and healthier skin into the future.